Proposals for agreed symbolism in Northern Ireland and throughout the isles. The name "Northern Ireland" has always been a bit of a thoughtless name and rather a mouthful, and it is also not a very distinct or marketable name for visiting tourists or businesspeople. The most northern part of the island of Ireland isn't even in Northern Ireland! The irony is that if we look back millennia, as indicated by the graphic to the left, there are numerous distinct names for the region all beginning with the Ul prefix. 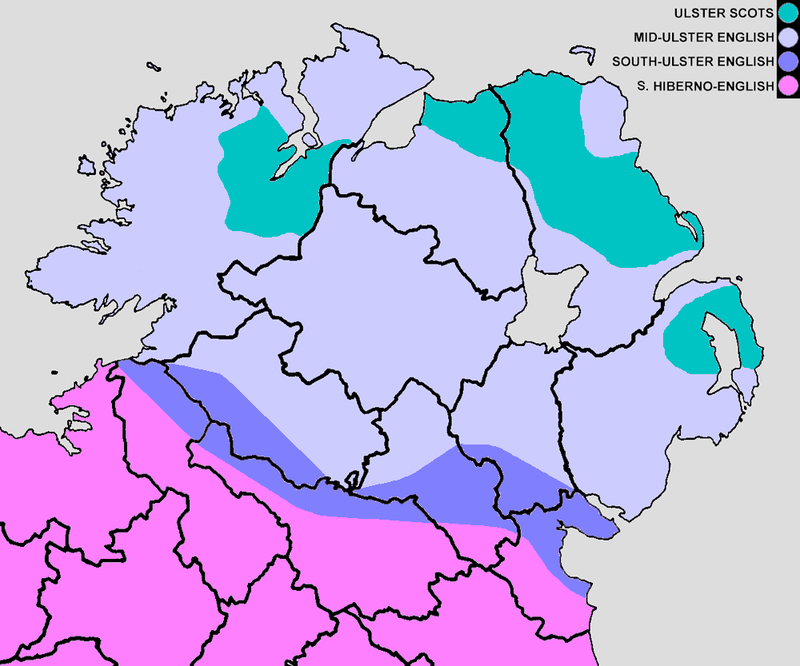 These are: Ulaidh or Ulaid or Uladh (Gaelic); Ulster (Norse); and Ulidia or Ultonia (Latin). All of these names have had different definitions referring to quite fluid boundaries throughout history. A half-hearted attempt was made to name Northern Ireland Ulster a few decades ago, but others insist on maintaining the C17 definition of Ulster out of tradition and for sports, with such a change being ultimately rejected by Prime Minister Clement Attlee. Therefore, this site proposes simply to officially use one of the historical Latin names: Ulidia or Ultonia to indicate our long heritage. These latin names also have the advantage over the name Ulster in that it is clear that someone from Ulidia would be Ulidian or that someone from Ultonia would be Ultonian. These latin names, particularly Ulidia, have also more often referred to the north-east. They are also easier to pronounce in English than the Gaelic names. In conjunction, this site would also propose obtaining the .ul top-level Internet domain to be used officially for Northern Ireland, but also to be shared for Ulster-Scots and other cultural groups, as well as shared with the people who consider themselves from Ulster in the Republic of Ireland. The term "Ireland" has become confusing, as at present it can mean either the island or the Republic. Aside from causing confusion, this hinders adoption of a traditional Irish identity north and south. Therefore, this site proposes some fresh naming. It makes sense to keep the name Ireland to refer to the island as a whole because this definition has the longer history, and today is used in that context both north and south. Therefore, a new name for the Republic is needed — a name which still maintains familiarity to the existing heritage of the Republic. Éire has been used on and off in English, but this has the same problem in that "Éire" is simply the Gaelic for Ireland. Therefore, this site suggests to use a new term, Eiranna, to refer to the Republic instead. It would probably also make sense for the Republic to adopt a new .ei or .eir Internet top-level domain name, and allow .ie to be continued to be used for cross-border purposes.